I finally completed my stila stickers and receipts! So now I can redeem them! Woohoo! Isn't that fantastic? I mean.. I find it absolutely amazing that I can connect to her and so many other people out there, through just a keyboard and my lappy screen! hehe..
hmm.. Remember in my previous post, I mentioned about the Stila receipt which I was searching for? They are so cruel, u know! How can they do that to me? I've been supporting Stila ever since it came to Malaysia.. And it's just ONE bloody receipt okay??! 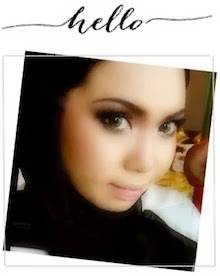 haihh.. Nvm..So..since posting that entry doesn't really help me to find the one and only receipt, so..I decided to try my luck and googled Stila on the web. She's also a Stila Girlfriend Club member.. So that's why she kept all her receipts.. and was able to give me one of hers! Okay, so here's an explanation about what's Stila Girlfriend Club is all about.. 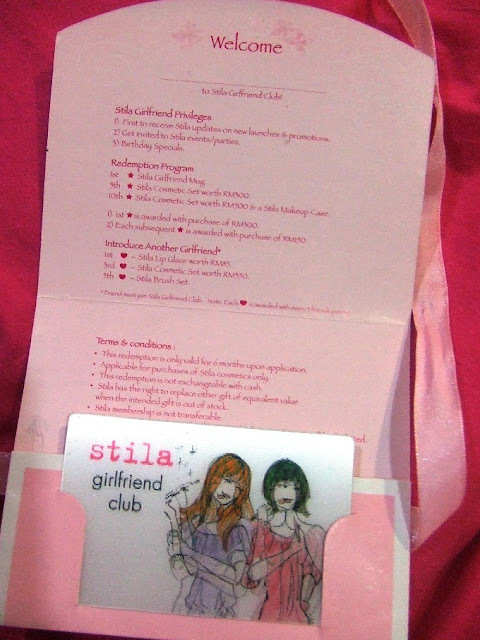 If you're a Citibank/MTV credit card holder, and you purchase RM 200 and above, you are entitle to become a Stila Girlfriend Club member. But if you do not have those credit cards, you'll have to purchase RM 300 and above in order for you to become their member. 1. First to receive Stila updates on new launches & programmes. 2. Get invited to Stila events/parties. 1) The First Star is awarded with purchase of RM300 or RM200(if you're a citibank cc holder). 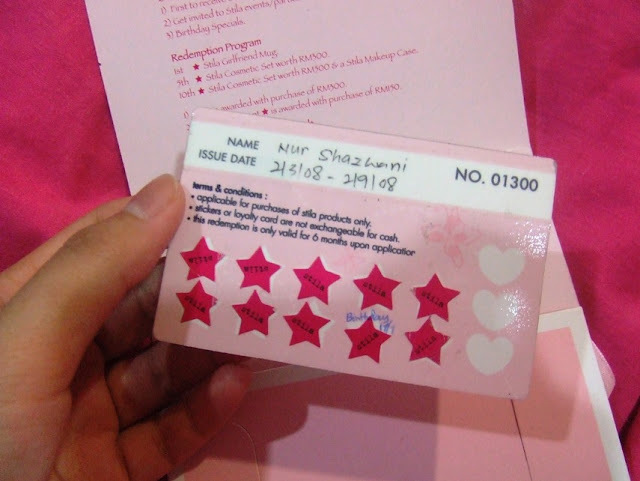 2) Each subsequent Star is awarded with purchase of RM150. Oh, and this is another ridiculous redemption program.. Note that each Heart is awarded with every 3 friends joining and each of them has to purchase RM 300 in order to become a member too! That is sooo ridiculous and unbelievable and unrational and unreasonable!! Stupid. Stupid bloody membership program!! Sumpah, after this I won't become their member anymoree or even if I do(unintentionally of course), I won't complete the whole bloody crappy membership thing! Gila apa nak spend for makeup for at least RM 1650 in 6 months time!! No more Stila membership club or whatsoever after this. I promise..
How I wish my makeup case looks like this! The one that I'll be getting is more to erm..girly and cutey..I think.heh.. But it's nice too! Anyways.. I also received a letter from Miu! hehe.. THANK YOU, THANK YOU, THANK YOU, MIU!!! 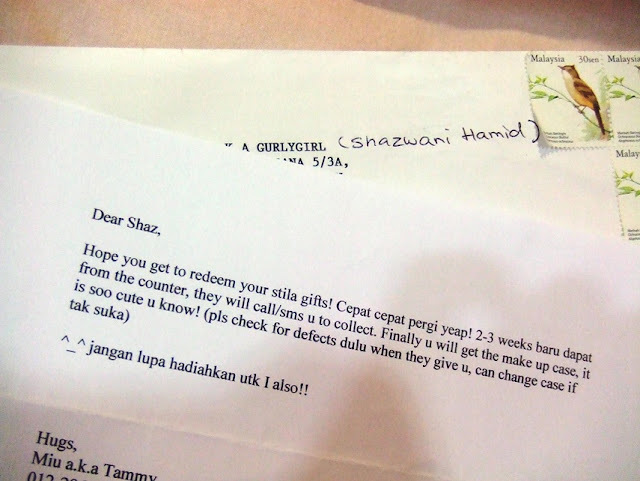 P/s: I promise as soon as I get my freebies, I'll post some of your Stila stuff to ur address ok! membership utk 6 mths je.. dia nak suruh kita membeli je la tu.. I'm very happy to have met u 2! in cyberspace.. omg what r the chances of that? 2 stila freaks who love the make up case. Thank god i had 1 receipt that matches so u can use. After that particularly month I didn't go buy anymore. Just like how you reason it. RM1650 in 6 months! freakin crazy and they don't even care we're regulars. Looks like just want us to spend spend spend. CASH COW.. lembu ringgit!! Frankly speaking, now my desire to continue as their customer is low. Their membership system when came out was so vague, none of their beautician/sales assistant gave me a correct explanation about it. Like birthday ? I didn't get a star, neither did I get a makeover (omg i didn't know can get makeover until i read your blog). See? how stupid? Furthermore look at their benefit guide. Pure crap! 3 friends spend rm900 then only u get a lip glaze! at first i thought 1 friend (ok la boleh tahan kut!!) then the SA informed me it's 3 - 1 heart. PUI..
Dahlah a stila paperbag also don't want to give me! gosh! I went to their mother's day event supposedly cocktail event. Upon reaching, it's bottle juice from supermarket and cupcakes which they didn't give to me at all until after my makeover, I had to ASK them to give it to me. OH this is the best part, they don't want give me paper bag for it. The girl actually stuff a upside down cupcake box into my small plastic bag. Reach home, the cupcake already history. I just threw it into garbage bin. Bah their events is so cheap and they're even cheaper in attitude. From now on I'll not support my counter anymore and go to yours in Pavillion/KLCC. i only managed to get the Stila Gf mug n stila makeup set (thanx to u!). tak kose haku nak collect sumer sticker! prolly bcoz i have a (fab) makeup case already. kalau takde expiration date ok gak..